You are standing east of 35W and looking west towards downtown. 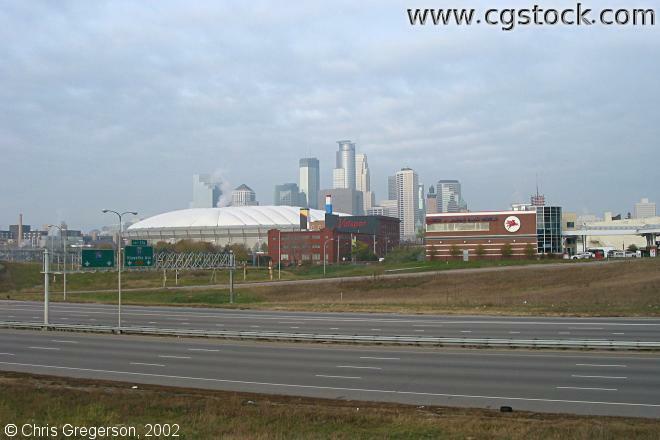 The white roof of the HHH Metrodome is on the left. Valspar is at center frame.